Tsukimi is an otaku girl who lives in Tokyo and wants to be an illustrator. Influenced by her late mother, she has a love for all kinds of jellyfish and is quite knowledgeable about them. 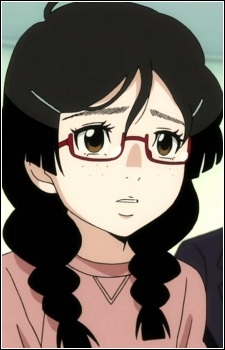 She is the only resident of Amamizukan who knows Kuranosuke's true gender. Like the other Amars, she has a fear of stylish people and will usually petrify in their presence. Tsukimi has a pet spotted jellyfish named Clara. Whenever she gets a make-over from Kuranosuke she becomes beautiful and Shuu falls for her. She reciprocates Shuu's feelings but she is led to think that he is in love with another person. She grows to be very comfortable around Kuranosuke when he is cross-dressing to the point she nearly forgets his actual gender, but conversely she gets very nervous whenever he is in his normal "boy" state in front of her.